MyPet Values is a company founded with a core philosophy for serving both the pet owner and the pet product/service providers who advertise with us. People are passionate about their pets and we are passionate as well. 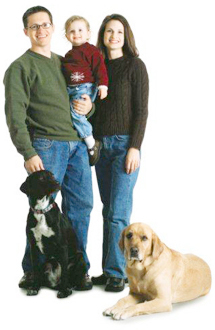 Our goal is to bring pet owners and pet product providers together in a way that makes everyone a winner. 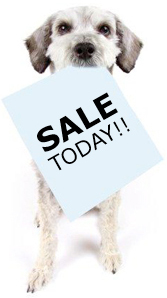 We want you to save on what you buy for your pets. Getting good values is part of our name and we are dedicated to giving pet owners access to top quality products at great prices. We want to introduce you to new, quality products and services. When exciting new items become available to the public, we want you to hear about them here first. We want to help you share the joy of being a pet owner. With not only savings but with fun ways to connect with other fellow pet owners. We want to give you access to good advice. From reputable veterinarians, pet experts and other pet owners who have similar experiences. We want to promote healthy pets. So we offer articles and tips that are reviewed by our MPV Veterinarian Advisory Board, we help you find a local vet if you need one and we even get you good values on your pet’s medications. We advocate being humane and responsible with pets. Only products and services that are safe and humane will be promoted in our programs and on our site. And we pledge to give 1% of all our advertising revenue to the ASPCA: The American Society for the Prevention of Cruelty to Animals. The MVP Best in Show Program and mypetvalues.com are developed using proven, sound marketing techniques. Our team has over 75 years of consumer and business-to-business marketing background for brands such as Avon, Home Depot, Shaklee, Compaq/HP, Comcast, Wells Fargo, Richardson–Vicks, GE, the Major League Baseball Players Association, Nationwide, American Express and other Fortune 500 companies. Our team is comprised of seasoned marketing veterans with a deep understanding of the pet product industry. We know how to reach people who want and need your products or services. We create compelling and effective marketing opportunities for you. We make our efforts measurable so you can see what you get for your advertising dollar. We partner with you to make sure your promotion is successful. We pledge to continuously look for ways to innovate and keep our site and program fresh and interesting to the consumer and effective for our advertisers.